Our clients and collaborators are aiming to change the world, or a piece of it, for the better. They’re feeding the homeless in Rhode Island, eliminating malaria in Equatorial Guinea, making health care accessible in Arizona, mountain climbing with prosthetic legs in Colorado, protecting endangered whales in Maine, inventing the world’s first electric truck in New York, and rebuilding solar panels in the Caribbean. Hit with over 80 ads a day, more and more audiences reject traditional “hard sell” advertising. Increasingly, consumers actively search for shared values and common culture with brands. Our mission is to sell a product or promote a brand through the power of character-driven storytelling, introducing the production value and strategy of the commercial world to the truth and authenticity of non-fiction filmmaking. At every step of our process, Windy is built to be a partner. Regardless of when we enter the conversation, be it at the very beginning of ideation or after the concept has been hatched, we’re helping our clients and agency collaborators to craft the narrative together. Instead of a traditional roster model of exclusive contracts with directors, we’ve curated an open community of talented filmmakers, journalists, storytellers. This flexibility allows them to stay focused on meaningful work and allows us to find the right talent for the job. If you’re looking to hire talented directors, cinematographers and editors for your next project, look no further. Here’s the list of people we trust. Our headquarters is a 100 year-old firehouse in the East Boston shipyard. 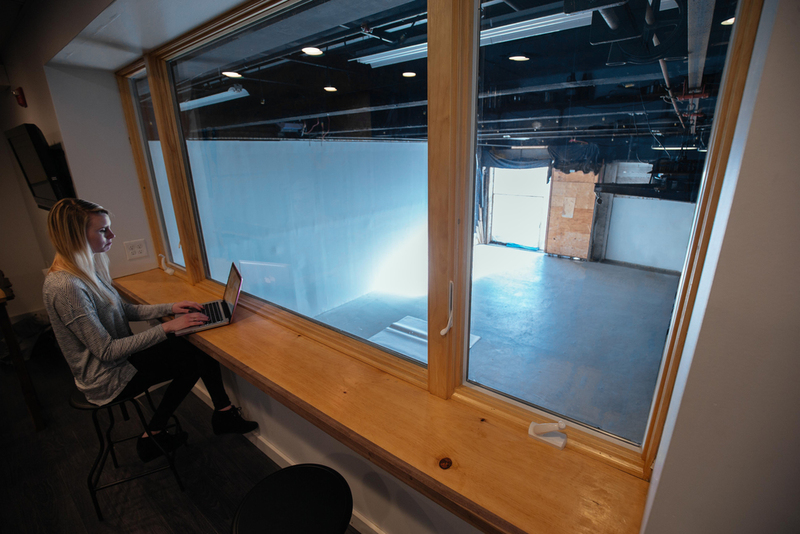 In 2015, we renovated it to build our production studio, full kitchen, offices and edit suites. We’re ten minutes to downtown Boston by subway, car or water taxi. Next time you’re in the shipyard, we’d love to connect. Our door is always open. Our custom built sprinter van and cargo trailer allow us to arrive on location fully prepared for both production and post production. With solar panels on the roof, we can charge batteries and power the DIT station for days without plugging in. We pride ourselves in owning our own quiver, a consistency that allows us to always be prepared and efficient for production.